Screw The Constitution! Am I Right? 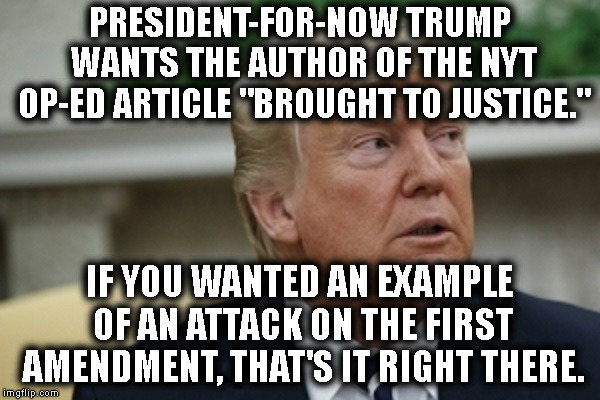 PRESIDENT-FOR-NOW TRUMP WANTS THE AUTHOR OF THE NYT OP-ED ARTICLE "BROUGHT TO JUSTICE. "; IF YOU WANTED AN EXAMPLE OF AN ATTACK ON THE FIRST AMENDMENT, THAT'S IT RIGHT THERE.